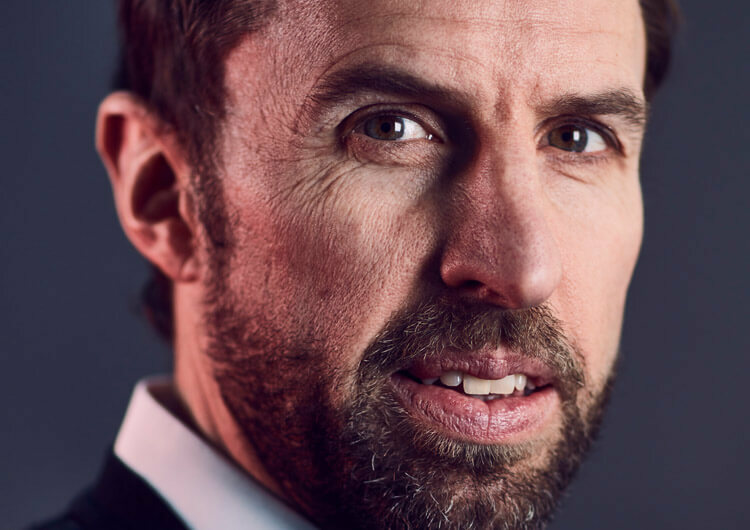 England beat Nigeria 2-1 in an international friendly that provided further clues as to the team Gareth Southgate could favour at the World Cup. Chelsea defender Gary Cahill, returning to the squad, got the Three Lions off to a quick start with a powerful header in the seventh minute, before Tottenham’s Harry Kane doubled the lead approaching half-time. Arsenal midfielder Alex Iwobi gave the visitors hope at the start of the second half, but it was an otherwise mostly comfortable evening for England. Here, our professional coaches analyse the tactics and key moments from the action at Wembley. 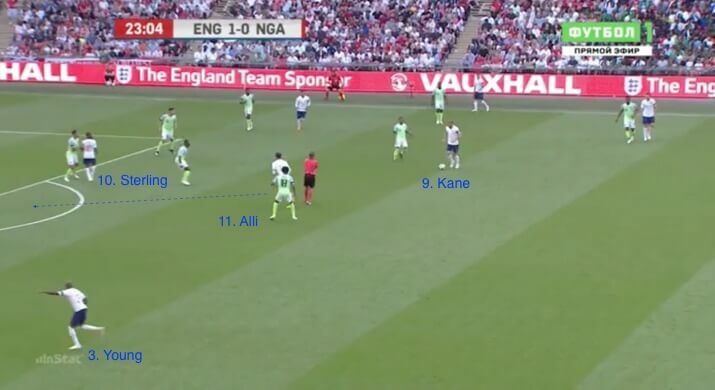 England set up in a flexible formation that most resembled a 3-3-3-1, with Eric Dier the solitary holding midfielder. Kieran Trippier and Ashley Young provided the width while Dele Alli, Raheem Sterling and Jesse Lingard supported Harry Kane in attack. This was an extremely fluid set-up that saw many interchanges of position throughout the game. 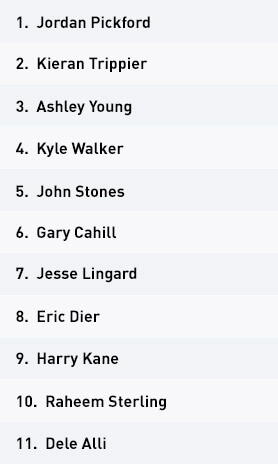 The movement of the front four was England’s most dangerous form of attack. They created a number of chances in the first half, as a result of runs from deep that Nigeria found difficult to track.  Sterling was particularly effective in bursting forward from deep – with better end product, the Manchester City attacker could have got himself a couple of goals. 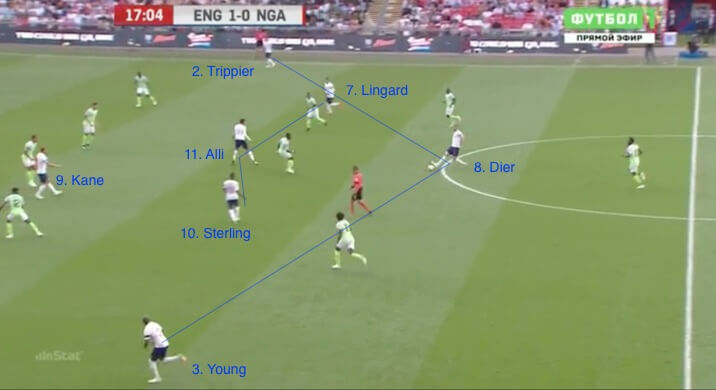 During the build-up phase, it was not uncommon to see one of the attacking midfielders – usually Alli or Lingard – drop in centrally to help Dier and provide an extra option to ensure a clean start to their attacking play. This would attract the attention of the Nigerian midfield and open up opportunities for more dangerous penetration – such as Kane to feet or Sterling in behind. Out of possession, England would look to press Nigeria in a 5-3-2 formation in which Sterling joined Kane in the first line of the press. 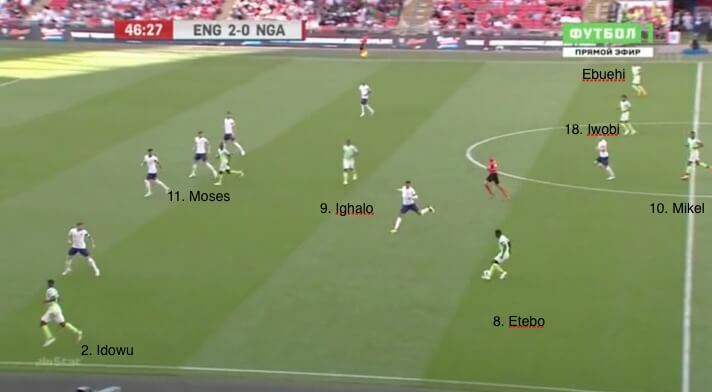 When Nigeria progressed into the attacking half and occupied wide areas with the ball, the full-back on that side – either Young or Trippier – would push into the second line of the press. The back three and opposite full-back then moved across to create a solid back four. 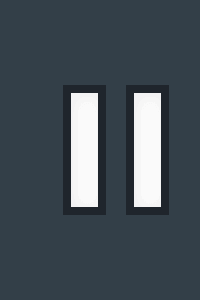 In this eventuality, it was crucial that England’s central midfielders didn’t get pulled too far apart to increase the space they had to cover defensively. When the ball would switch to the other flank, this process was repeated with the opposite full-back, in effect creating a flat 4-4-2 shape in defence. Despite a number of substitutions in the second half, there were no major changes to this strategy. That said, the introductions of Danny Welbeck and Marcus Rashford did see England’s forward line increase their vertical stretching of the pitch, which created more gaps for traditional runs in behind. Ruben Loftus-Cheek and Fabian Delph joined Dier in midfield, and the formation took on more of a conventional 3-5-2 in the closing stages. Loftus-Cheek and Delph were nonetheless encouraged to get forward, though they couldn’t help England to extend their lead beyond the single goal and the game ended 2-1. 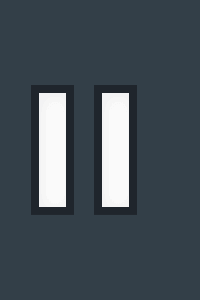 England set up in a 3-3-3-1 formation, although Kieran Trippier and Ashley Young would sometimes move to higher lines to provide width in the final third. It was fairly common for one of England’s attacking midfielders – here, Dele Alli – to drop on to the same line as Eric Dier in order to ensure a clean build-up. Harry Kane could often be found dropping deep, which would trigger one or more of the attacking midfielders to move ahead of him. One of England’s key strategies in the first half was to utilise runs from deep. Raheem Sterling was particularly effective in this regard. With Marcus Rashford and Danny Welbeck forming a front two in the second half, England would try and stretch the pitch more vertically and get the forwards in behind. Nigeria had a very disjointed 4-2-3-1 formation in the first half. England found plenty of space in which to play against this set-up. 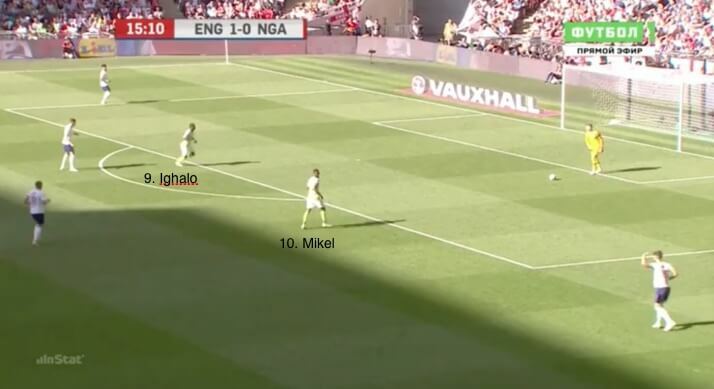 Lone striker Odion Ighalo’s role was to try and stretch the play and get in behind the England defence. 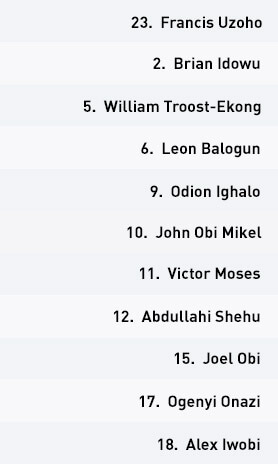 Nigeria pressed with two forwards, with John Obi Mikel joining Ighalo, but the gaps between units were too big. England had no trouble in playing out. Nigeria changed their shape in the second half, to more match up against England’s. 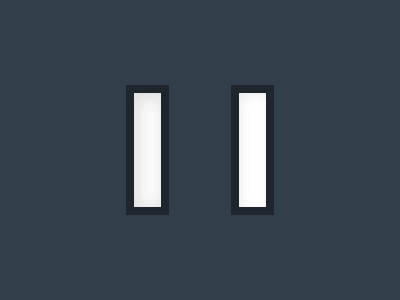 They were much more structured as a result. 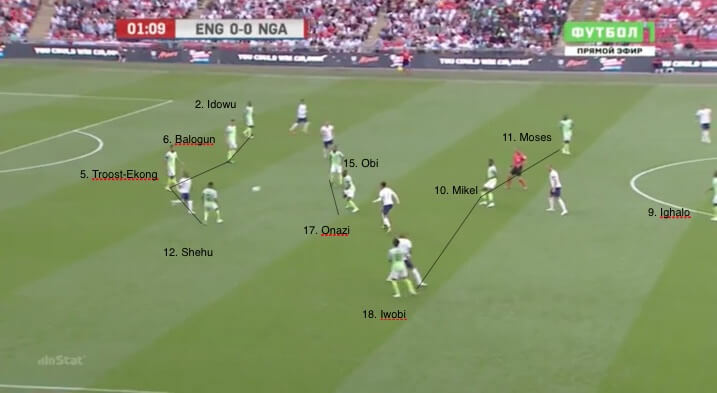 The new formation allowed Nigeria’s full-backs to get forward and provide the width, while they kept key players in central areas to maintain balance and security behind the ball. Nigeria set themselves up in a somewhat disjointed 4-2-3-1 in the first half, with Ogenyi Onazi and Joel Obi holding centrally, as captain John Obi Mikel played more of a number 10 role. Chelsea’s Victor Moses and Arsenal midfielder Alex Iwobi supported former Watford forward Odion Ighalo in attack from wider areas. The visitors’ play in the first half was scrappy, and their positioning left much to be desired. 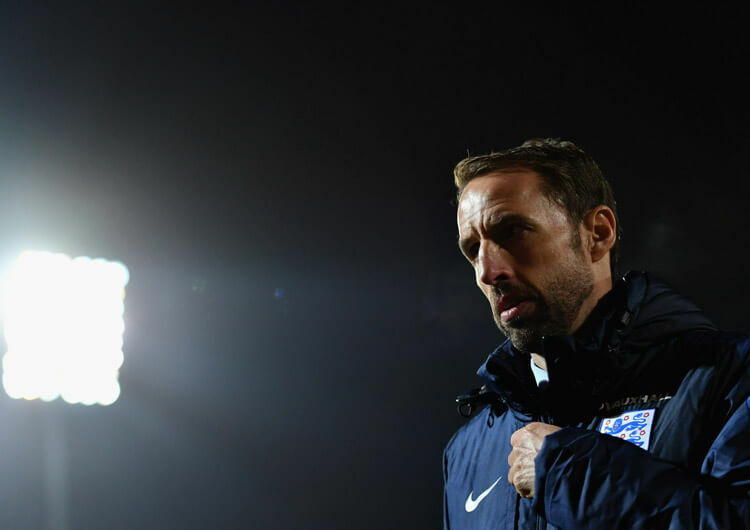 There would be heavy overloads on one side of the pitch, and with few options for a switch of play or outlet, when England regained possession, Nigeria were vulnerable to the counter-attack. Similarly, on the rare occasion the ball was switched, the majority of the Nigeria team would have to transition – but they did this too slowly for it to be effective. 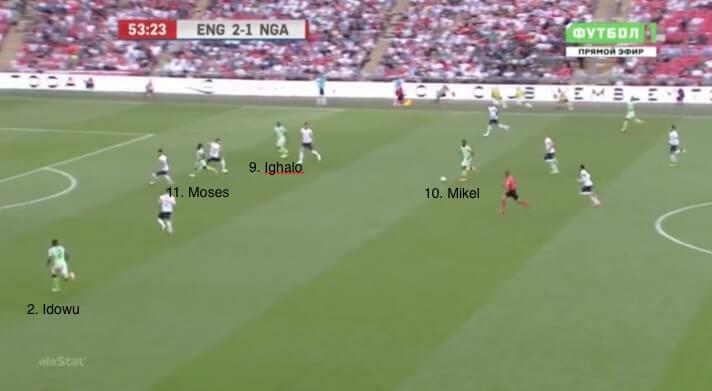 Out of possession, Gernot Rohr’s team would try to press England high and would have one of the attacking three, usually Mikel, supporting Ighalo in the first line. The speed and energy of this press was acceptable, but the covering positions of the secondary units provided far too much space for England – who, with their numerically superior formation in these areas, had little trouble in playing out. Matters improved significantly for Nigeria in the second half, when they switched to try and match England’s formation by playing three at the back. They utilised their full-backs to provide the width, and had Mikel, Iwobi and substitute Oghenekaro Etebo in central areas to support the attack of Moses and Ighalo. Having their players more positionally structured paid dividends after only a couple of minutes, when Iwobi fired home on the rebound to halve the deficit. Their structure overall was much improved when building the attack; the full-backs were able to get much higher and individual discipline within the midfield provided the balance to decrease their vulnerability to counter-attacks. Despite an improved performance in the second half, however, Nigeria failed to genuinely threaten England enough and couldn’t prevent a home victory. The fluidity of England’s front four provided Nigeria with all sorts of problems in the first half. The role of Eric Dier was key to the hosts’ success. His positional discipline and organisation allowed the likes of Dele Alli, Jesse Lingard and Raheem Sterling to roam more freely in attack. 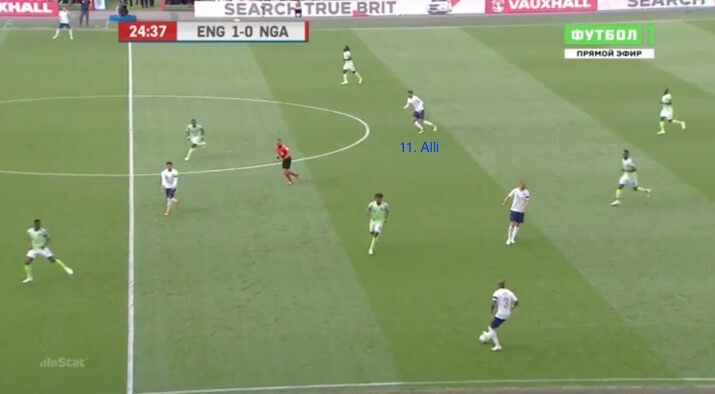 Nigeria left far too many gaps when pressing, which England’s fluid front four enjoyed in the first half. The visitors’ positioning was also poor, leaving them particularly vulnerable to the counter-attack. The switch in formation at half-time, however, resulted in a much more organised Nigeria who were able to compete with England in the second half. Alex Iwobi’s goal gave the away side hope, but Gareth Southgate’s men held on for the victory and are now nine games unbeaten.